This wonderful winter dinner is perfect for the whole family. Never mind that it is relatively easy to prepare an loaded with taste galore, it also packs in plenty of protein, carbohydrates and vegetables. Prepared in olive. oil, this dish is rich in monsunsaturated fatty acids, which some experts believe to be beneficial to heart health. Savory pork and fresh ginger. fresh ginger root 1"x 3"
Prepare marinade using orange juice, soy sauce, and garlic salt. Place pork chops in small container add marinade and refrigerate promptly. Allow to soak a minimum of one hour. Allow to soak several hours in advance for a more intense marinade flavor. After marinating, prepare to dredge the pork chops using standard breading technique. To dredge, place flour in a serving bowl large enough to accommodate a pork chop, mix in fresh ground peppercorn. Peel and shred the fresh ginger root, a small food processor works well for this. In a small mixing bowl, beat eggs and combine shredded ginger root. Transfer this egg wash to second dredging bowl. n lieu of commercially prepared breadcrumbs, procuring your own is easy to do with a food processor and makes good use of leftover bread. 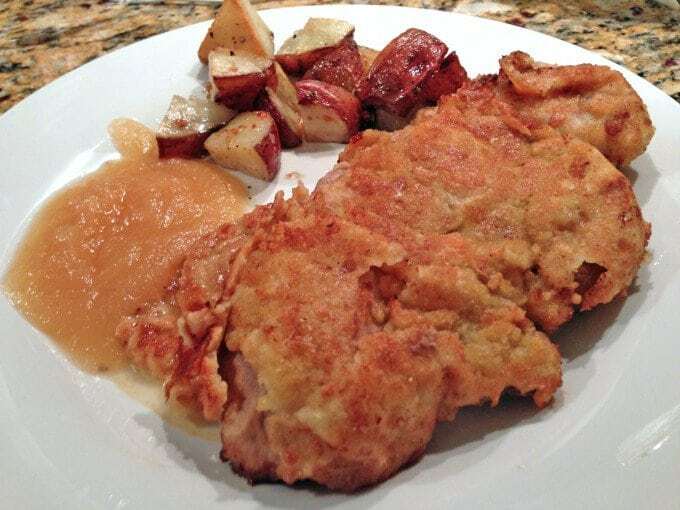 In a large skillet heat olive oil over medium-high heat and carefully add each pork chop to skillet. Using a thermal resistant spatula, carefully flip each piece after 3 minutes of frying on medium-high. Reduce heat to medium and continue to cook 7 to 10 minutes on each side. If you're checking internal temperature, the USDA recommends 145 degrees F. for food safety. Serve immediately and savor the experience! 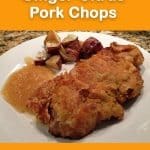 Pork chops are my all time favorite and these are so tempting with the flavors of ginger and citrus. Thanks for the wonderful comment. These are a favorite of our as well, for their versatility cost, they’re hard to beat! That marinade sounds absolutely fantastic! I bet it complements the pork so well! Thanks for the comments, this was indeed all a good combination! Your Pork Chops look absolutely delicious! Love the wonderful citrus and spice in the marinade – this is definitely perfect family food. I love it when delicious is good for you too! oh wow ginger is a must have with pork. The ginger must be making the pork nice soft and I can imagine all the wonderful citrus flavors mingling. 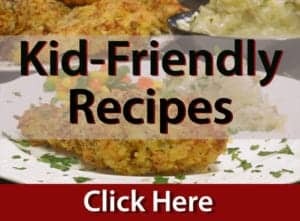 Lovely recipe find! Thanks so much, Helene, we agree with you all the way on this one! The marinade for these pork chops sounds amazing! I can’t wait to try it out! Great job!! Thanks, Nellie; it’s a great combo! Thank you, Sandra. These are pretty easy to eat! Yum!!! 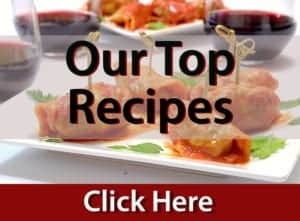 I love adding ginger to pork recipes! It really ups the flavor! Oh yum- ginger and pork what a great idea! Thanks, Tray; these are easy and delicious! Thanks so much, Stacey; I think you will enjoy this recipe! I made this last night and I have to tell you….fabulous! I will be making again! Fabulous, Eileen!! Thanks so much for the feedback, our favorite type of comment! 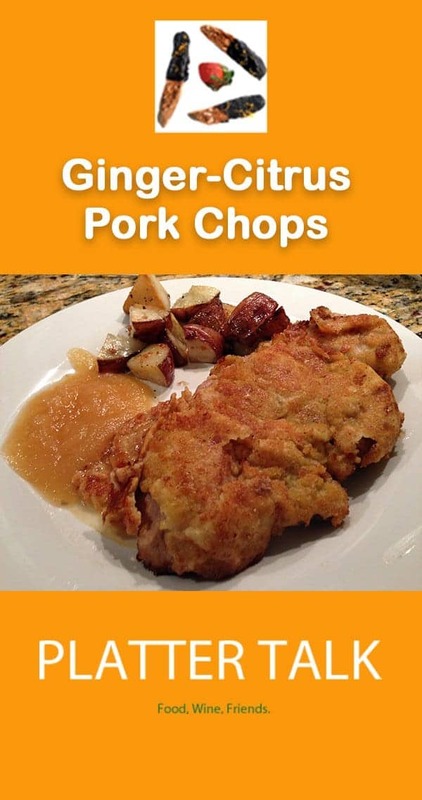 These are delicious, a bit different than traditional pork chops but I think you will enjoy. Thanks for the comment! This sounds awesome. Pork chops are my fav! Going to have to try this!